Advanced 4 Healthcare (A4H) offers trusted care tailored to needs, circumstances and languages of those that matter most to you. Enabling them to maintain their lifestyle in the comfort and familiarity of their homes, A4H Caregivers provide direct in-home personal care services (non-skilled Medicaid waiver). Non-medical services may be either short-term or long-term. Our Caregivers undergo extensive background screening and training before being carefully matched with your personal, family and cultural needs. A4H is physician-owned and operated to ensure that you receive the highest quality of care. 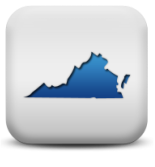 A4H currently operates in Virginia, licensed, bonded and insured.